The Summer of 2017 is rapidly coming to a close but work continues on Bagnell Dam. I'm sure everyone has noticed the cranes, cement trucks, and workmen busily making the structural improvements outlined by Ameren in March. This $52 million dollar project will enhance the structural integrity of the dam, something not done since the 1980s. Improvements to energy production efficiencies has been fairly steady over the years, but actual structural work has not been performed in some time. One notable exception. Ameren renewed their license to operate Bagnell Dam in 2007 after years of stakeholder input and millions of dollars spent to comply with many regulations. It was about this time I noticed new concrete at the Eastern(? it always feel more like Northern to me) entrance. This relatively small addition is sandwiched between the Eastern abutment and the cliffside near it and presumably added to stabilize the abutment itself(East and West abutments are the "solid" parts of the dam that have no spillways). Update - I've just noticed some new forms on this structure now, an indication more concrete will be added to it as well. The work being done now is the addition of new concrete and 68 more "anchors". These new anchors are not meant to replace the 277 nine inch steel rods that were installed in the 1980s (a 2009 article from Connectmidmissouri.com quotes Alan Sullivan, an engineer for Ameren, as saying there were actually "over 300" holes drilled) but to reinforce them. 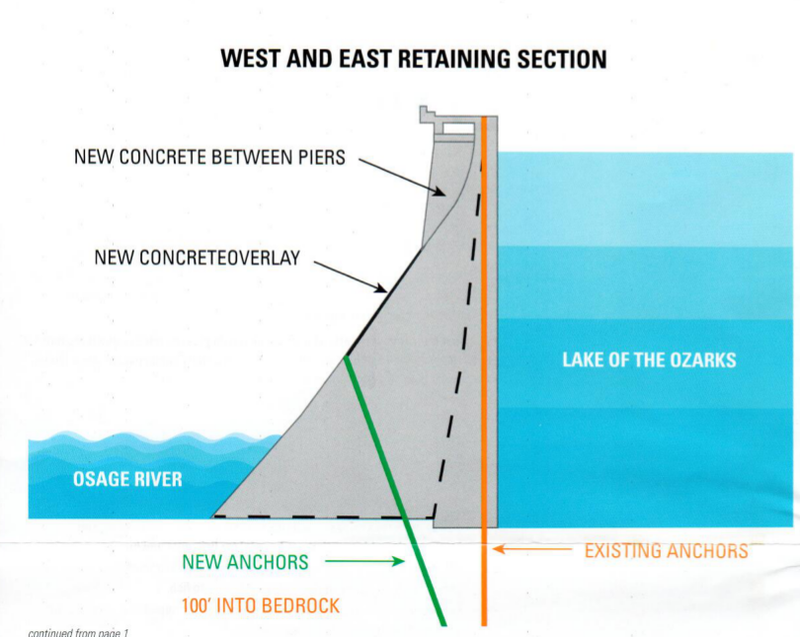 While the original anchors were installed vertically, effectively increasing the downward force of the dam and increasing the frictional forces keeping the dam in place (Bagnell is a gravity dam), the new anchors will provide both vertical and horizontal force components. 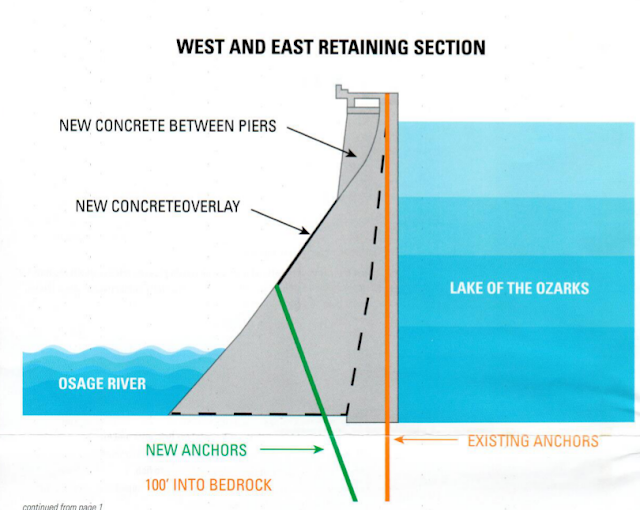 The concrete work is a little less clear, but Ameren states they will be adding 66 million pounds to the basic structure, spillways, and top section. 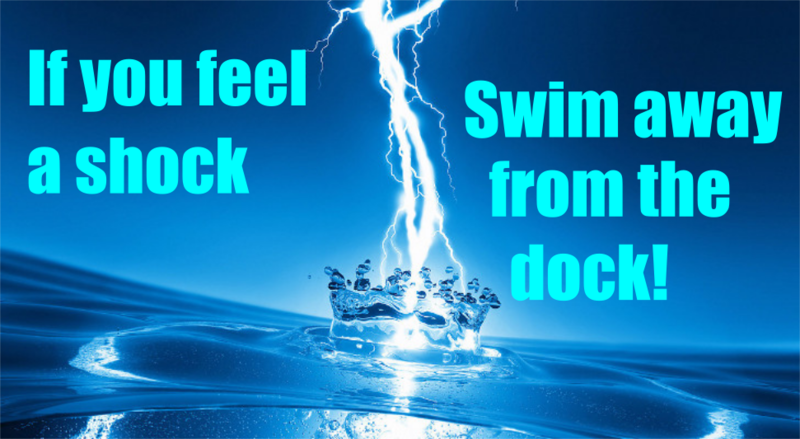 All which will add more weight and again create more downward force on the bedrock.